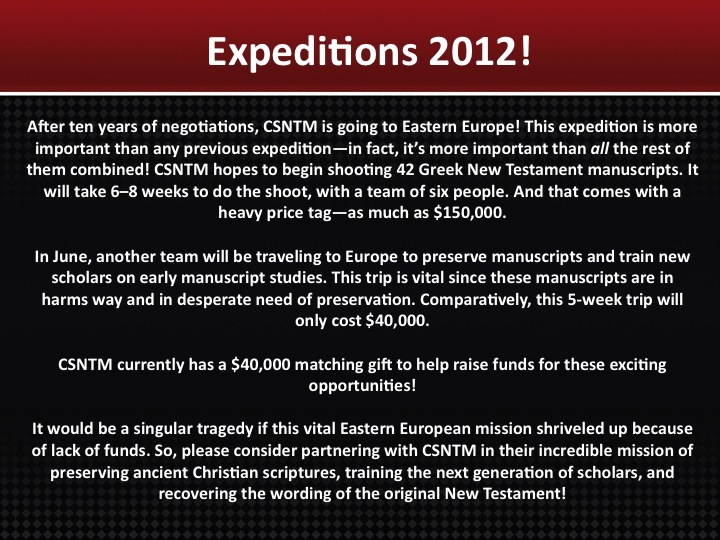 The Center for the Study of New Testament Manuscripts (CSNTM) is a non-profit 501(c)(3) organization that I founded in 2002. For more information about CSNTM or to visit our ChipIn site, you can click here. Many thanks for the blog. And also for the work of preserving ancient mss. The 42 manuscripts are they already part of the existing 5600 Greek or 10,000 Latin manuscripts?